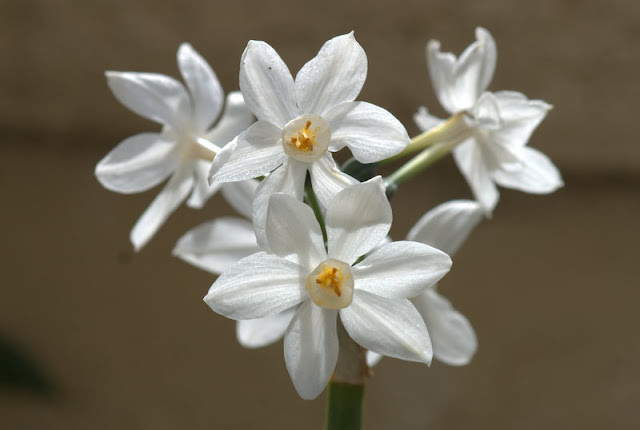 Each time I do a stroll through the garden at this time of the year, I see something new. 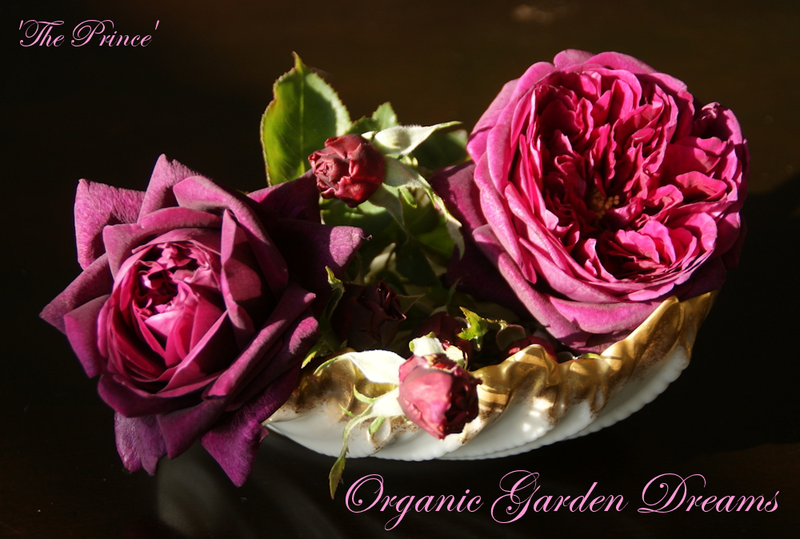 The garden is rapidly changing from day to day. One rose after the other is starting to open its flowers and many perennials have begun to bloom as well. It is simply a joy to be outside and take it all in and often I can't help but just being in awe of the beauty of nature. Spring is definitively my most favorite season of the year here in Southern California! 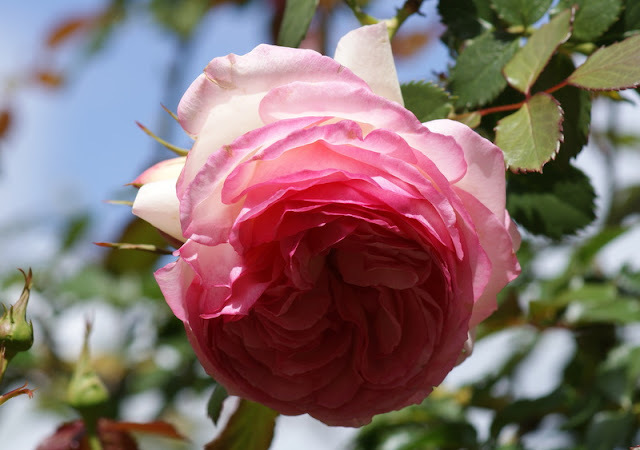 Rosa 'Georgetown Tea' flirting with the spring sun. 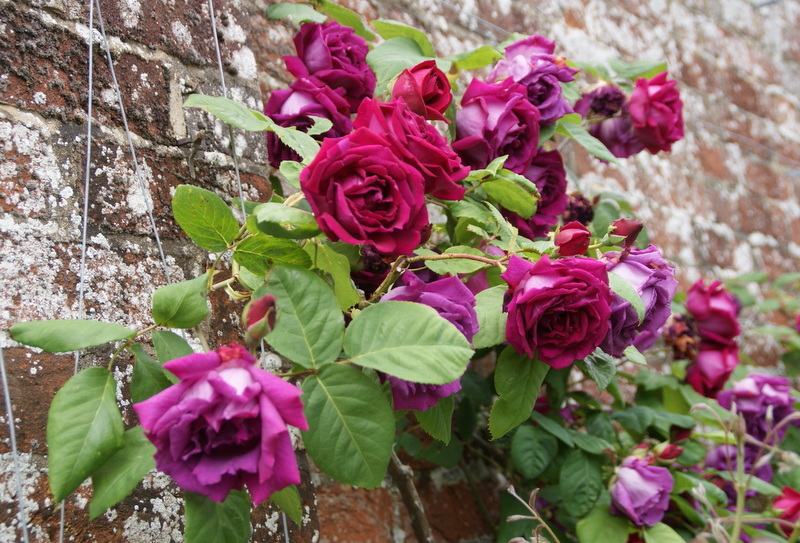 Rosa 'Marie Pavie' spilling over the decorative wall in the front yard. 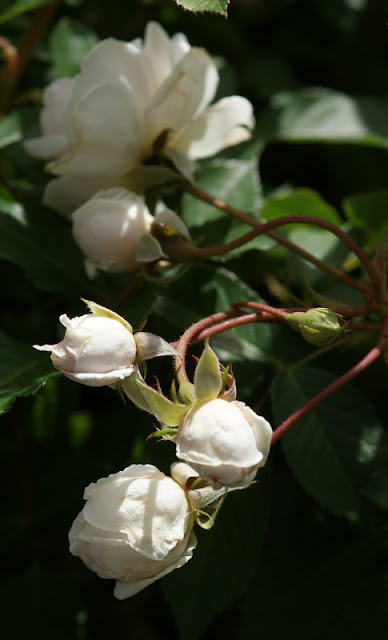 Close-up of the blooms of rosa 'Marie Pavie'. This is rosa 'Marie Pavie' again, shown from the other side. This photo is taken at about the same time as the photo two pictures above. 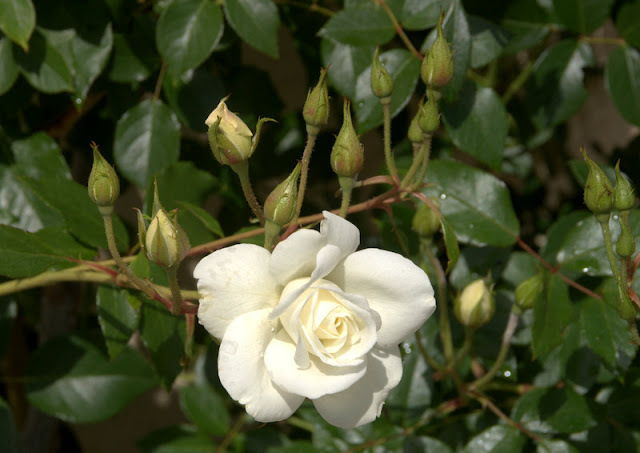 This side of the rose gets more shade and most buds haven't opened, yet. 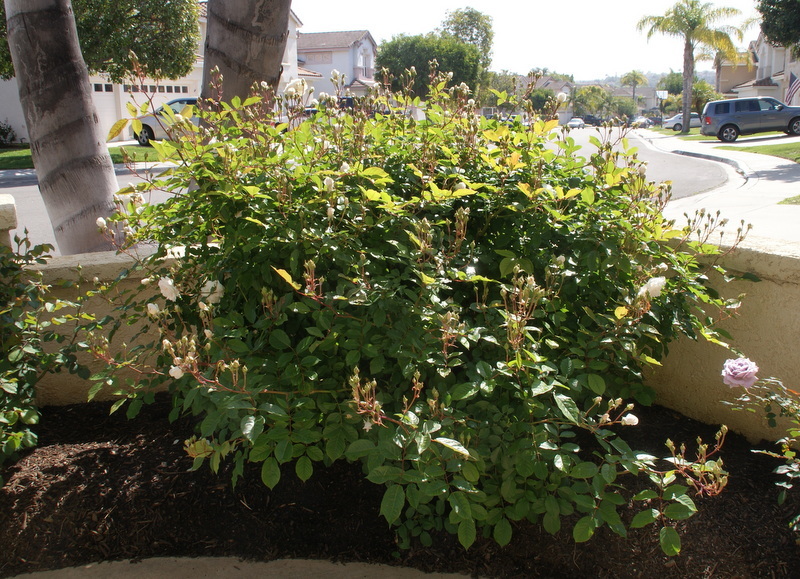 But this shot shows well how full of buds this rose is. 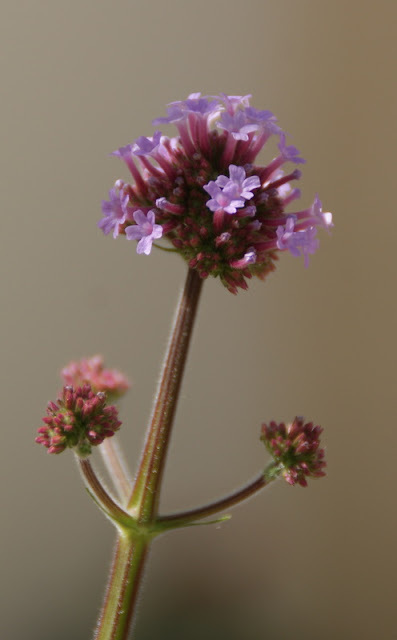 To my big surprise my 'Verbena Bonariensis', which I planted last autumn, has started already to bloom. 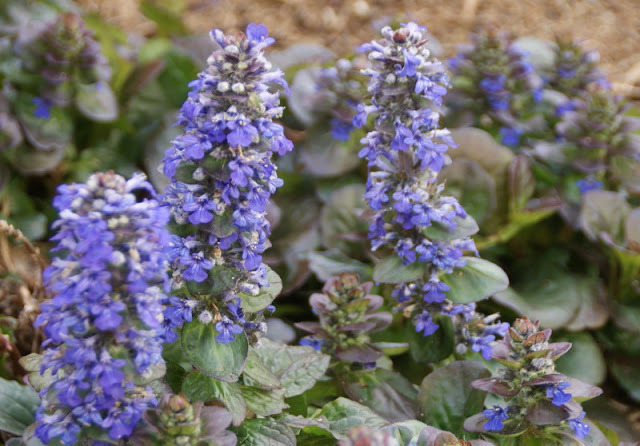 The label said that the plant was supposed to flower in summer, but in Southern California you never know. Rosa 'Climing Iceberg' glowing in the sun. 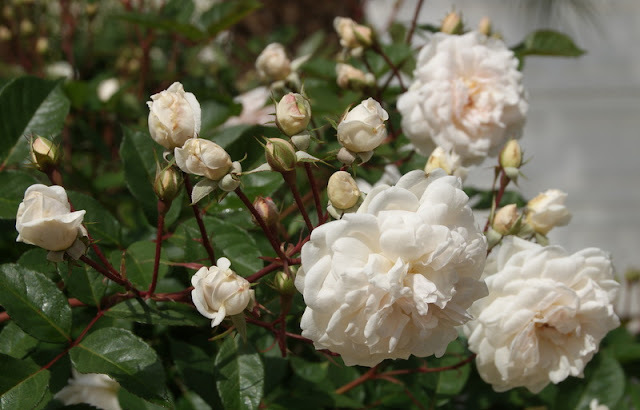 Same 'Climbing Iceberg' rose. It is also incredible full of buds this year. 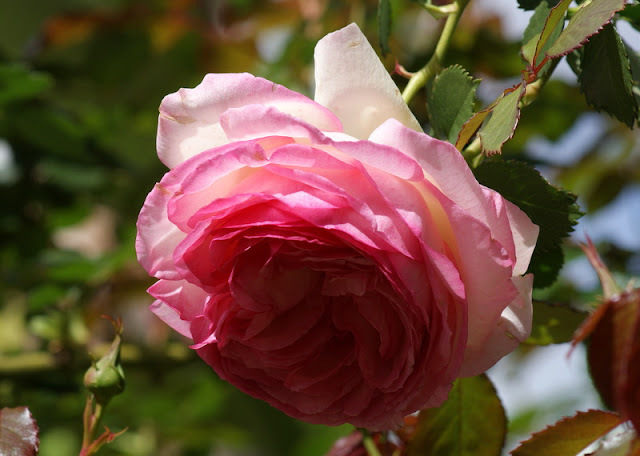 Another bloom of rosa 'Captain Christy', a little bit more open. 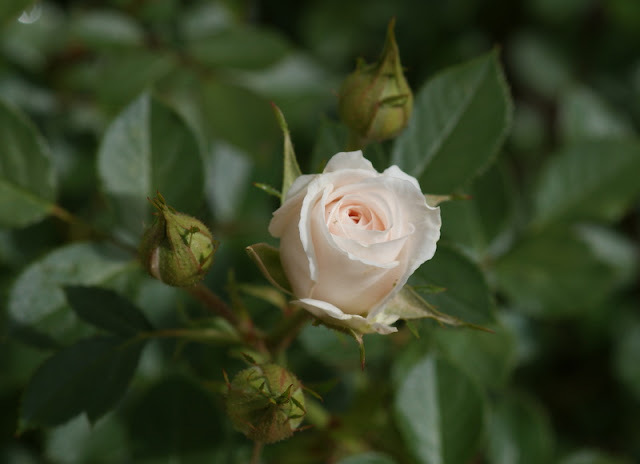 My humangous rose 'Pierre de Ronsard' in the backyard. This year it is very healthy and is also bearing loads of buds. 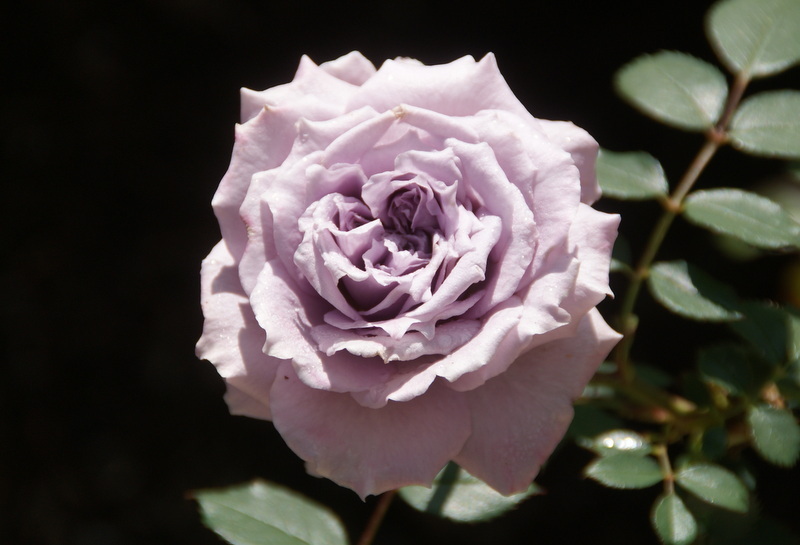 The color of 'Lavender Crystal' is almost surreal. But this extraordinary color comes with a price. The little bush is suffering badly from blackspot. 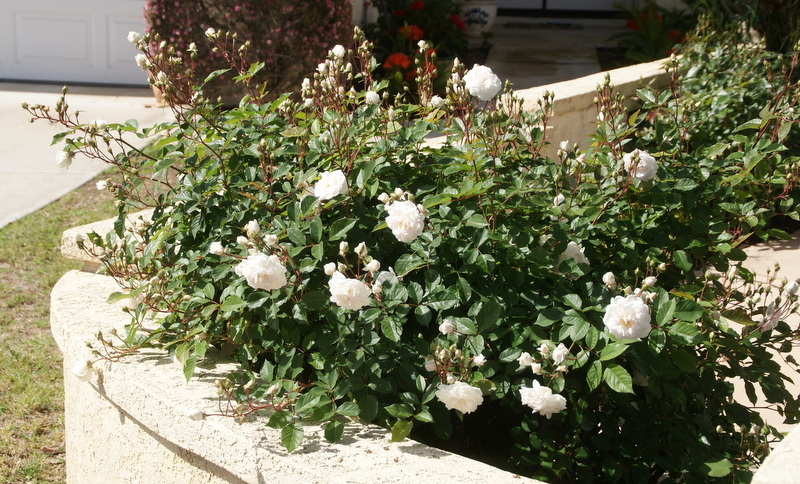 Almost the only rose in my garden that is plaqued by this disease. Of course, even though this is a wonderful time of the year, not everything is perfect. I am not completely happy with this combination here in the front yard. 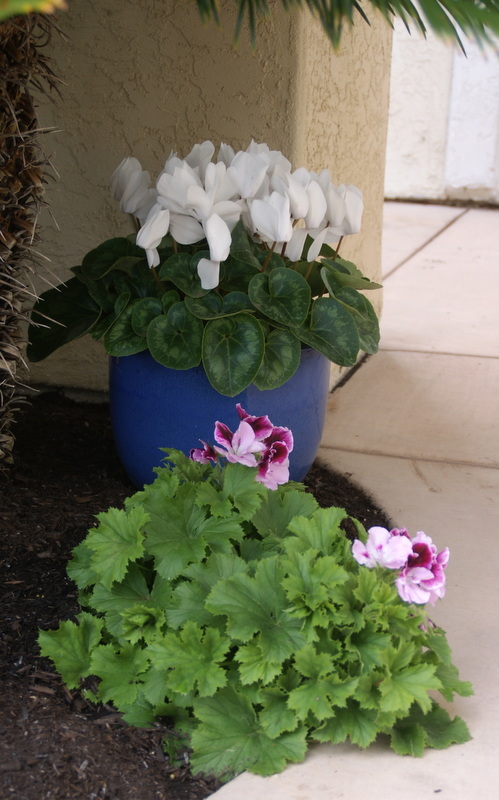 The Martha Washington geranium in the blue container seems to be too garish and it is badly clashing with the lavender blooms of rosa 'Lavender Crystal' to the very right. This part definitively needs some tweaking. One of the first flowers of rosa 'Grandmother's Hat' hiding deep in the foliage of the rose. 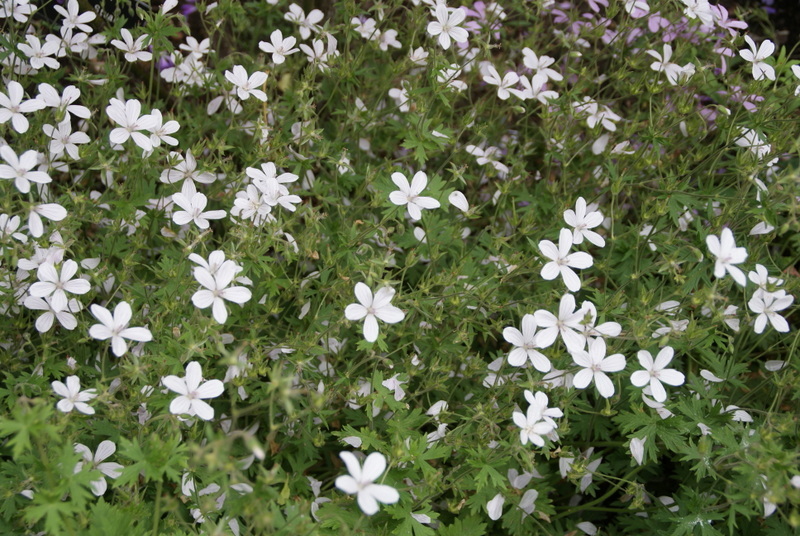 This is a scene from my White Garden Bed. I finally planted five white flowering gaura lindheimeri 'Belleza White' behind the white column and they already are starting to bloom. 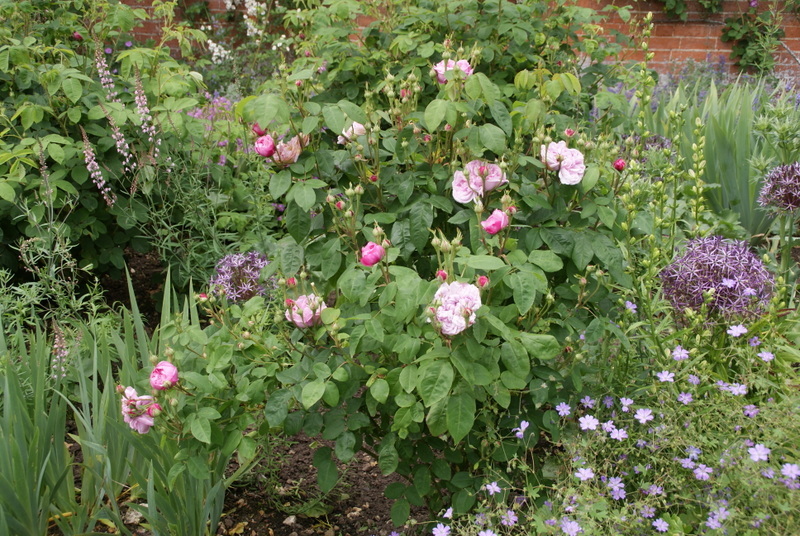 The rose to the left is 'Pope John Paul II' and to the right is 'Chandos Beauty'. 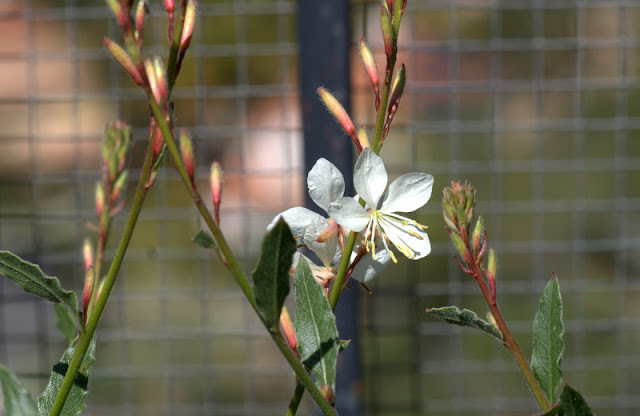 Close-up of gaura lindheimeri 'Belleza White's' first blooms. This is my third trial to get this area "right". 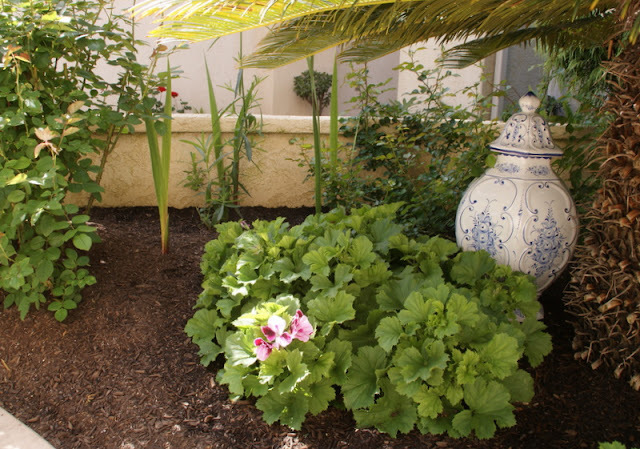 First round I planted in place of the gauras white flowering irises, which died on me. Next attempt was to plant white flowering amaryllis belladonna, which only bloomed for a very short time in July or August and pulled in their foliage most of the time, because of the heat that we are having here. So the area behind the column was simply bare dirt. Hopefully I am more lucky with the gauras. So far I like the way they look! Wishing everyone who celebrates it a very Happy Easter! 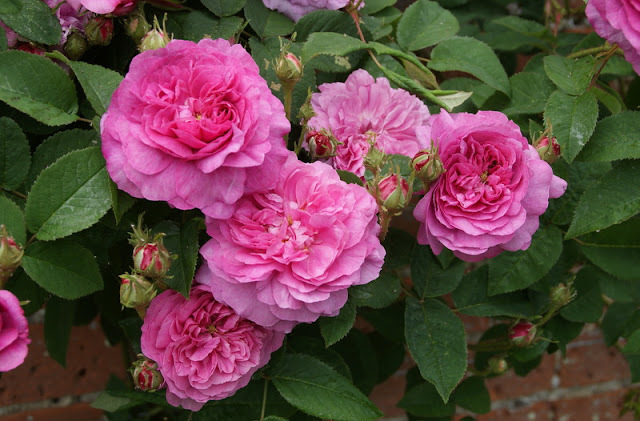 Are you ready to see more gorgeous Old Garden Roses and fabulous borders filled to the brim with beautiful and interesting flowering plants? Well, then you have opened the right post. 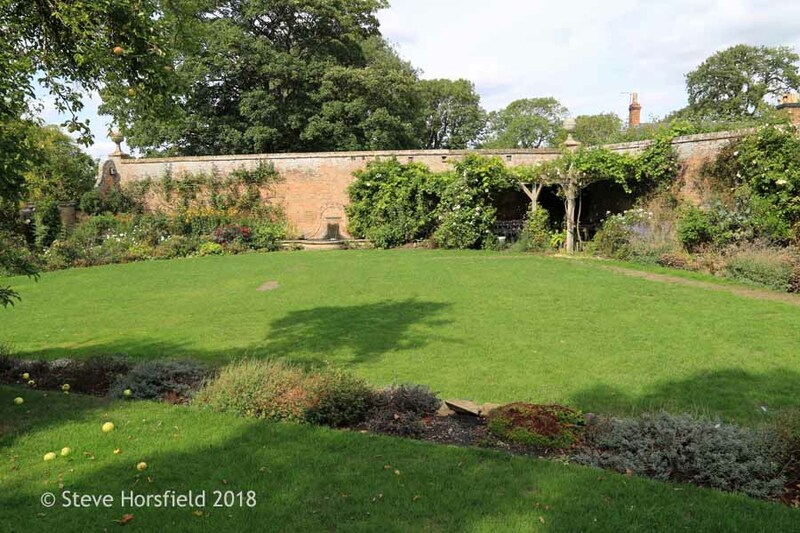 I am continuing my series about Mottisfont Abbey, one of the most beautiful and interesting rose gardens in England that I know. The scene above is probably one of the most photographed ones in Mottisfont and some of you may recognize it. And for good reasons, it is is just so lovely! Even though, when we were there, the roses trained on the arches were not in bloom, it makes for a pretty darn beautiful picture. The garden was well visited. I tried hard, but unfortunately I couldn't get a shot without people. 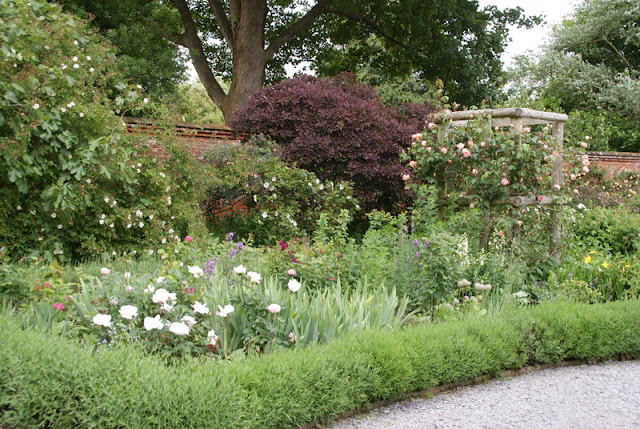 In this part of the garden the paths were made of gravel and often lined with lavender. 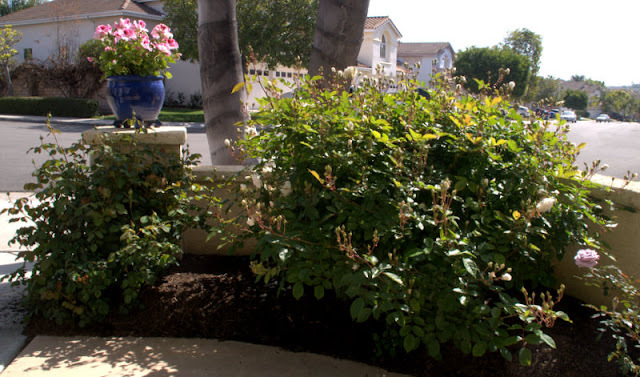 I really like that and can imagine, in case the drought in California doesn't cease, to take the grass out in our backyard and put gravel down instead. I also liked the rustic climbing structures very much that they use in Mottisfont. They just fit the space very well. 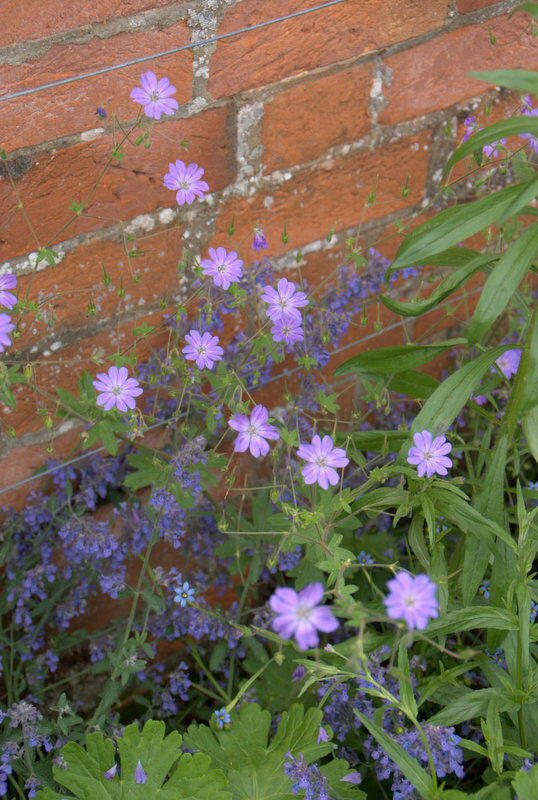 Lovely blue flowering plant, but unfortunately I don't know its identity. White, pink and blue my favorite color combination. It never disappoints! 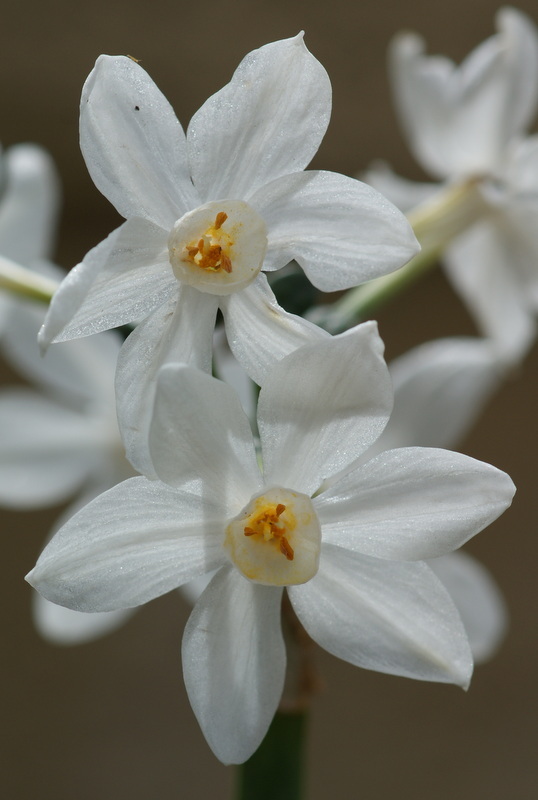 The white bell flower from the last photo in a close-up. Just wonderful! More nice blue flowering companion plants! 'Gloire d'un Enfant d'Hiram', a Hybrid Perpertual bred by Rose Vilin (France, 1899). 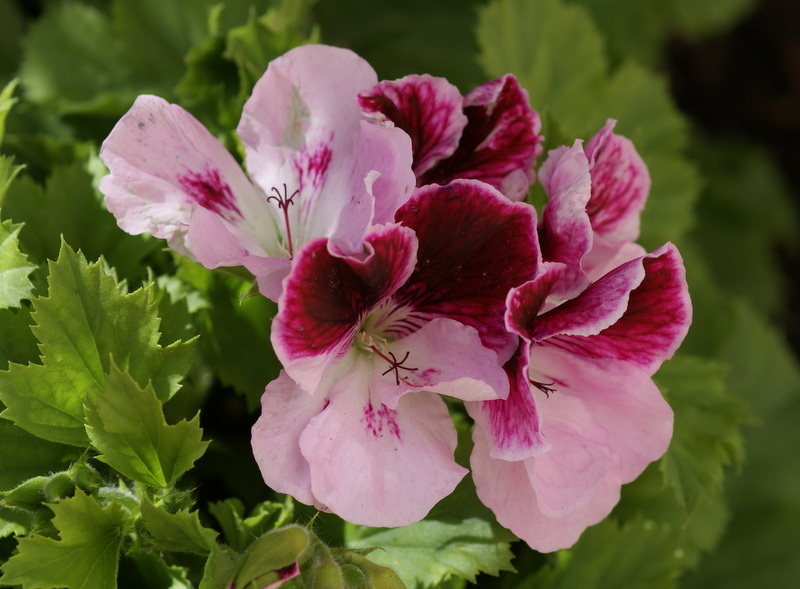 Beautiful cupped bloom form in a carmine red color with violet undertones. 'Ards Rover', a climbing Hybrid Perpetual. 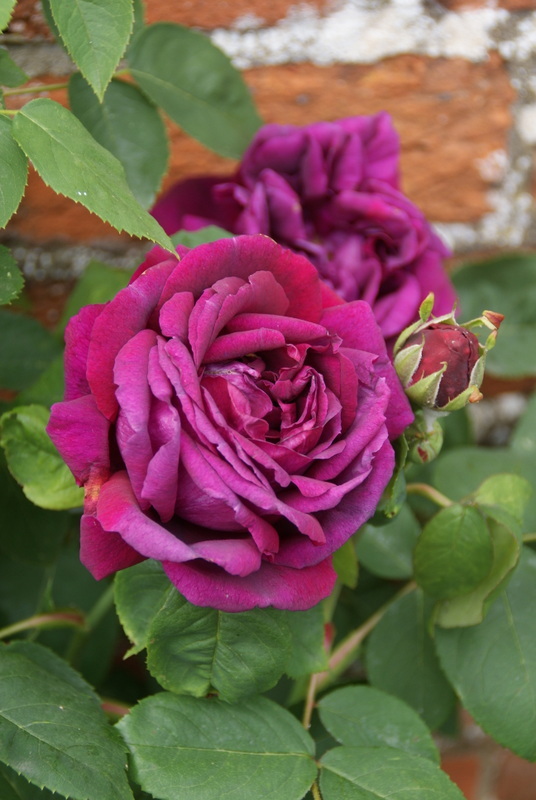 Another rose that I had never seen in person before I visited Mottisfont. 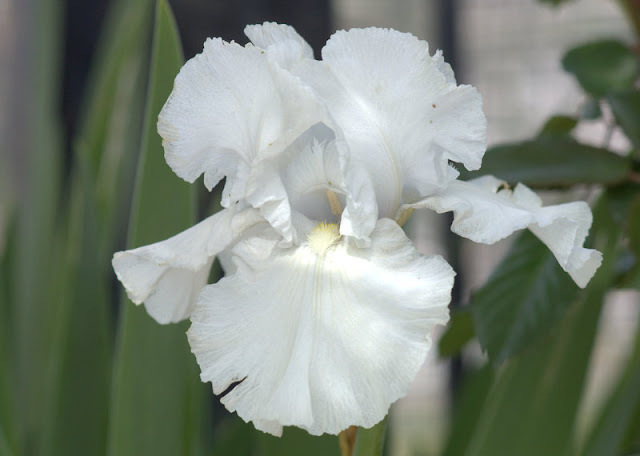 It is bred by Alexander Dickson II (United Kingdom, 1898). The large double blooms in a crimson color fading to a distinct purple tone were just stunning. Definitively one of my favorites in this post! Another shot of 'Ards Rover'. I am not certain of the ID of this one, but love the mottled pink color. Very unusual! Sorry, no ID either! 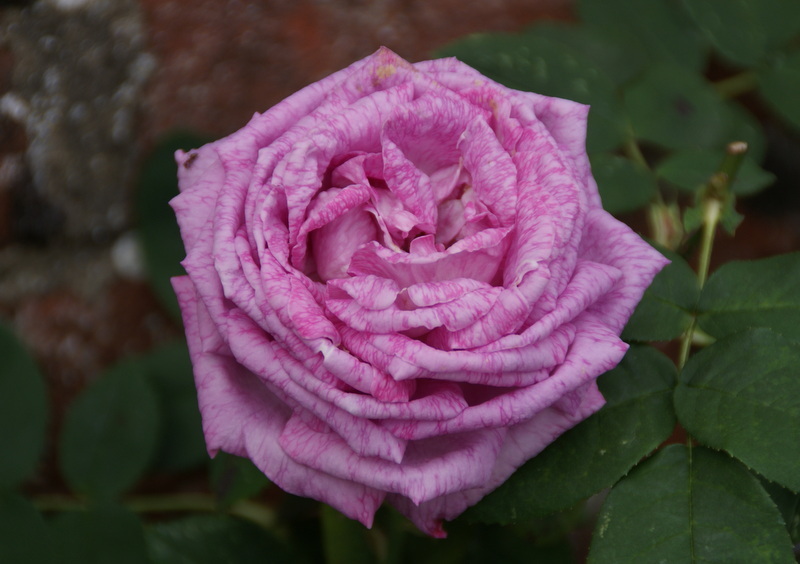 The rose has kind of the same mottling on the petals than the last one. 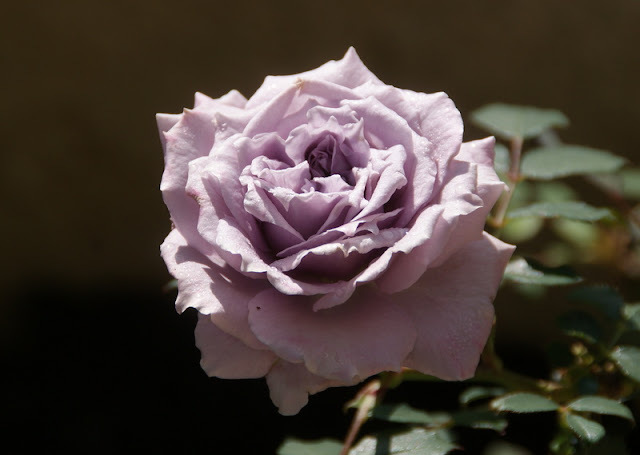 Also really like how the petals fade to a lilac hue as the flowers age. Absolutely loved this rose! This is rosa 'Dembrowsky', a Hybrid Perpetual, bred in 1849. Unfortunately the breeder of this beauty is unknown. 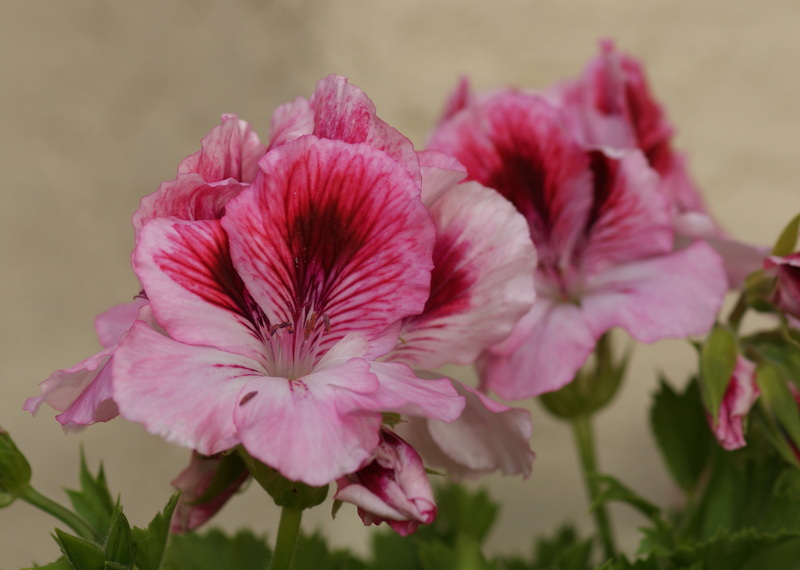 To me the pink blooms with the darker center and the button-eye in the middle are irresistible. 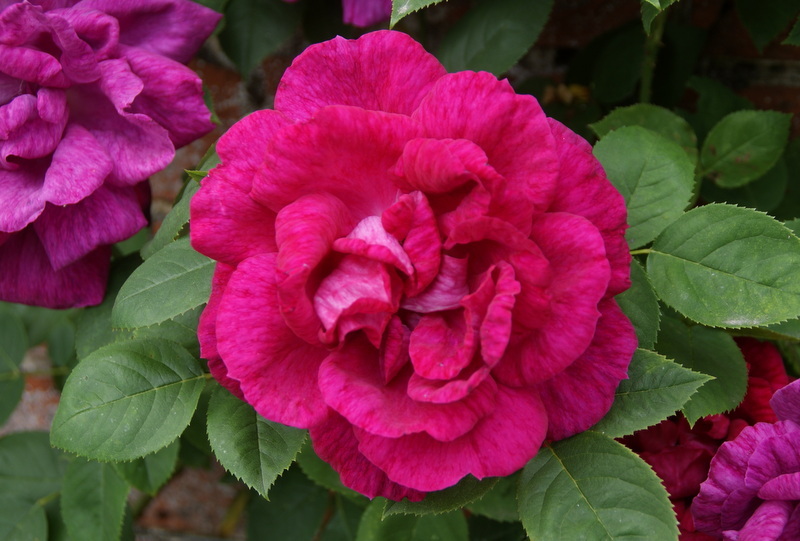 Single bloom of rosa 'Dembrowsky'. White flowering rose companion plants always catch my attention. Rosa 'Sidonie', also a Hybrid Perpetual, bred by Frinck Dorisy (France, 1846). 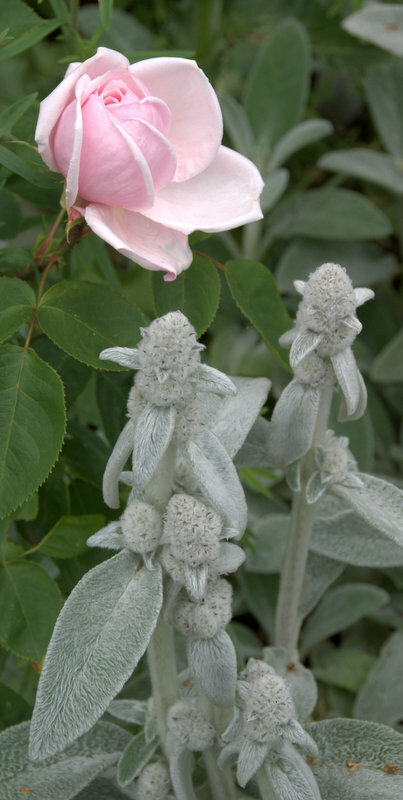 The light pink blooms have a very unique charm! 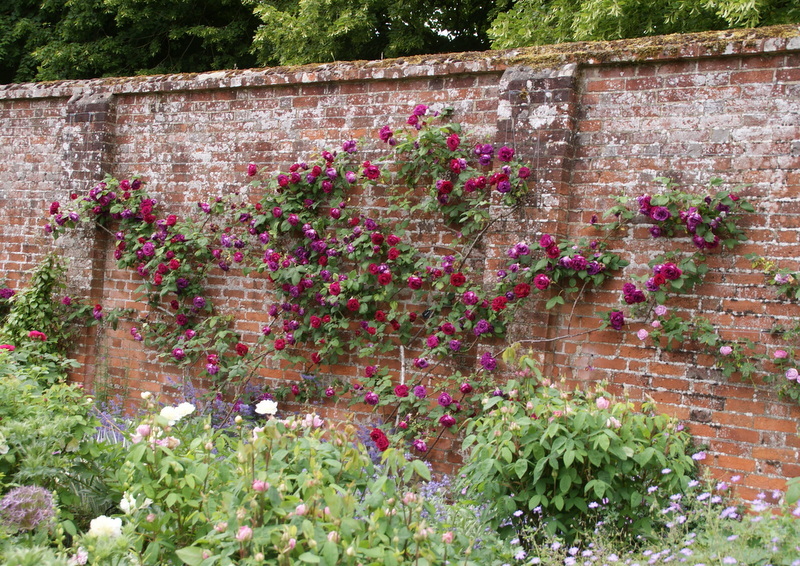 One of the many wonderfully trained climbing roses at Mottisfont. I believe this to be 'Ards Rover', which I featured a few photos above already, but I am not a hundred percent certain. Again, no identity on this one, but wonderful nonetheless. 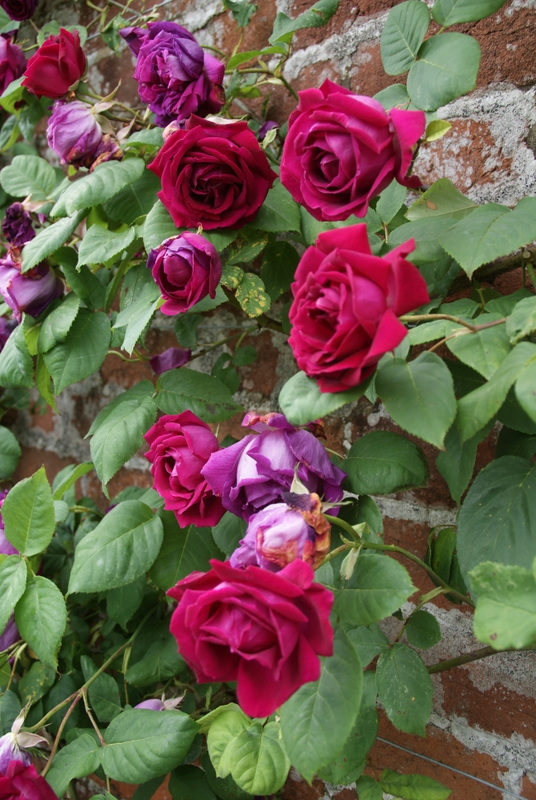 I don't have an identity on this one either, but I believe it to be 'Reine des Violetts'. 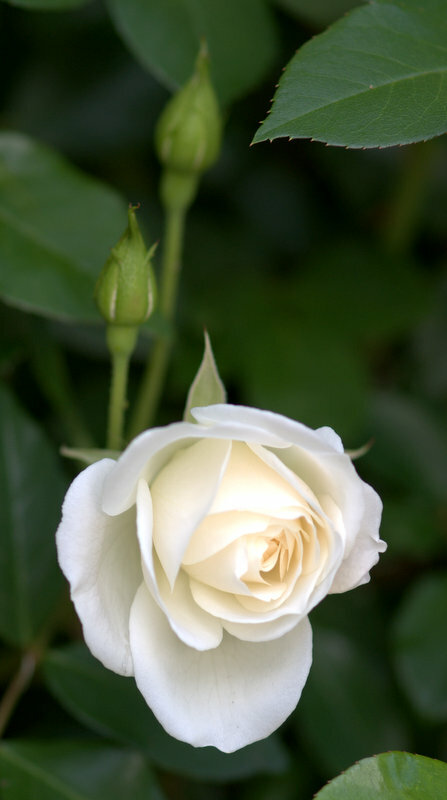 Another shot of the same rose of the photo before. 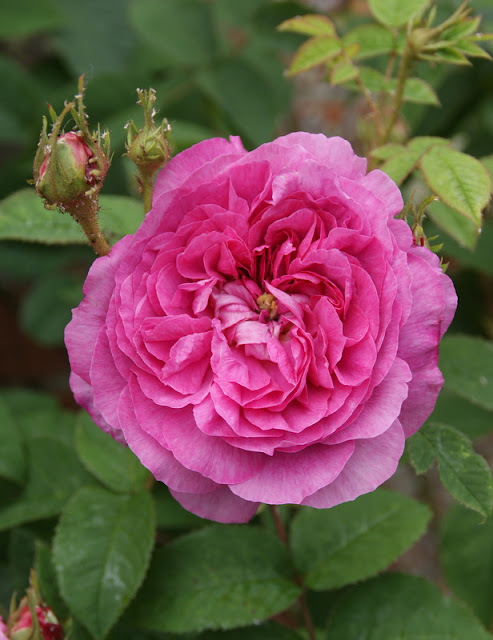 This is 'Comte de Chambord', a Portland, bred by Robert and Moreau (France, before 1958). 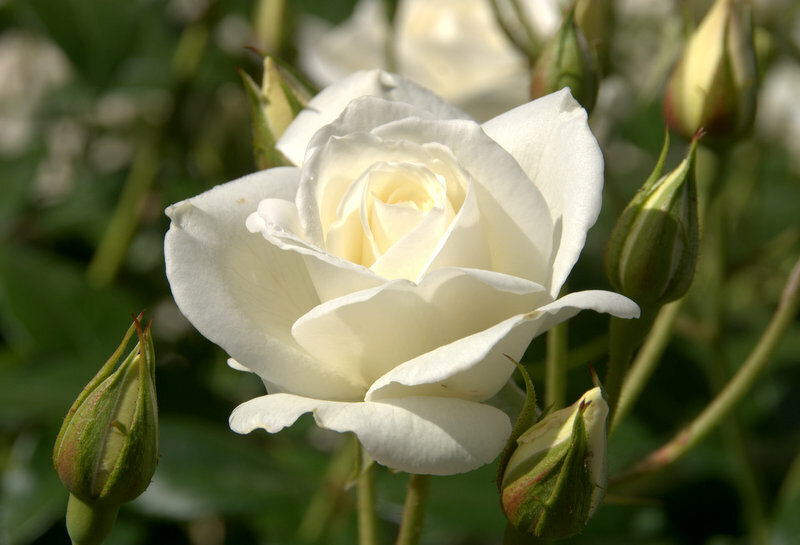 I always wanted to grow this rose, but didn't get to do it, yet. 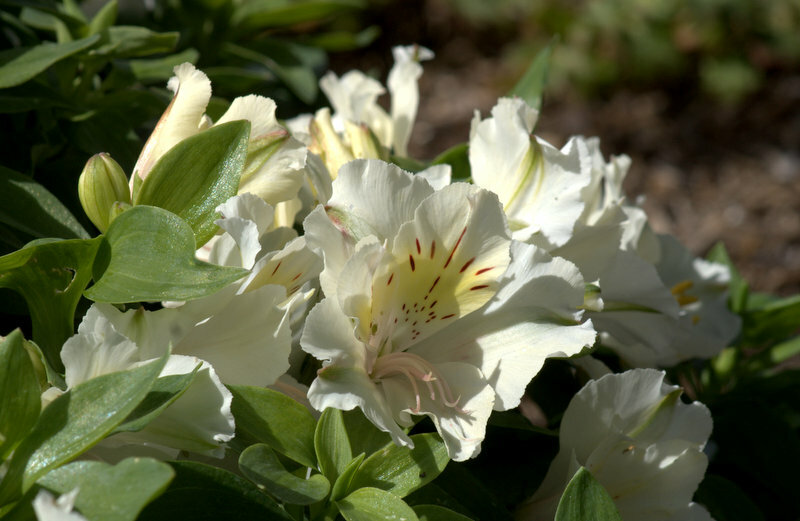 It is supposed to have a very strong fragrance and I love the color and quartered bloom form when the flowers are fully open. This sundial I would have love to take with me and set it up in my own garden. So pretty! 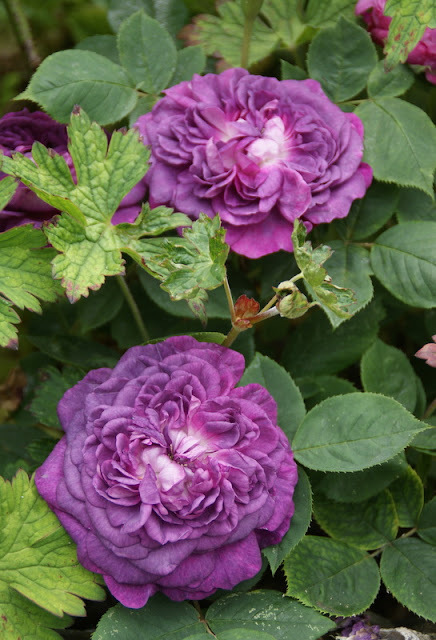 Really like this rose together with the purple colored bush in the background. There were so many different climbing structures in Mottisfont Abbey, something for every taste. I leave you for today with a combination that is tried and true: Lamb's ear and pink roses! It just works! 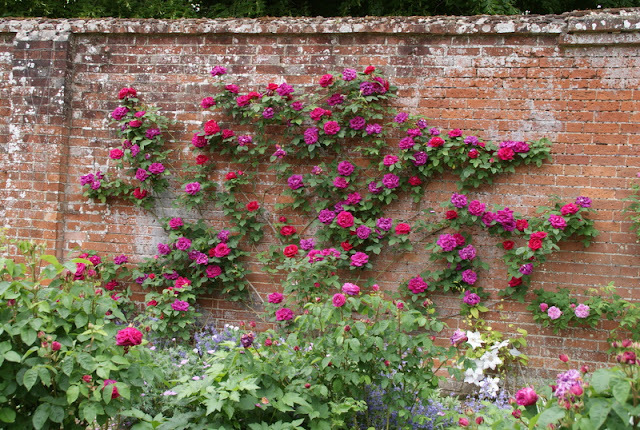 Hope you enjoyed this entry in my Mottisfont Abbey series. 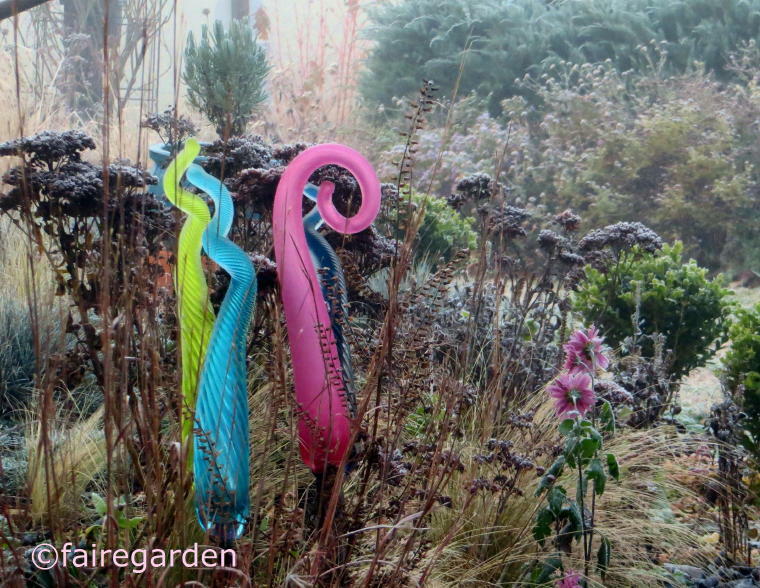 I still have many more photos, so I will be continuing to blog about this amazing garden in the future.